In addition to the leaked recordings revealed by Albawaba News on 22/12/2013, exposed Egyptian Political Activists 6 of April Movement and Foreign NGOS and Embassies funding scandal, other recordings were published exclusively by Albawaba News on 23/12/2013 exposed direct contacts between 6 Of April Movement’s founder Ahmed Maher and a famous businessman Amr Hamza Alnasharty who fled to England, After stealing money from Egyptians in the form of bank loans in millions of pounds. And again other foreign funding to 6 of April Movements and other activists. Businessman Alnasharty was a member in the National democratic Party of Mubarak Regime! 6 of April Movement claim that they fought Mubarak regime corruption, while they were receiving corrupted funding from the same corrupted regime! Who is Amr Hamza Alnasharty? Amr Alnasharty was the owner of retail chains branches Sainsbury in Egypt, and the national democratic party member fled to England after stealing banks money in the form of loans. On April 2012, he returned to Egypt and made a settlement with the General Attorney to refund all the stolen money and to get his name cleared from the lists of anticipation and detention In Egypt. The Egyptian court condemned him with 15 years in jail with two others including his Brother Hisham for 7 and 10 years in Jail, after they were charged of stealing money from the Suez Canal Bank and the National Bank without any guarantees and privided faked guarantees, Money laundry, illegal profits , bribes and official documents forgery! Alnasharty fled to London and established commercial projects after he managed to get many international companies agencies. His Brother owns hotels series in Lauzanne and Geneva in Switzerland. 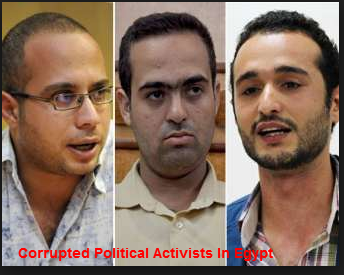 US Administration condemned the Egyptian authorities for oppressing and jailing these honorable patriotic Egyptian activists who accepted money laundry from corrupted businessmen! These Egyptian activists accepted funds from foreign NGOS and Foreign Embassies in Egypt beside accepting funds from a corrupted Businessman who belonged to Mubarak regime! American tax payers have the right to know where all their tax money goes. The US government doesn’t issue figures on democracy spending per country, but Stephen McInerney, POMED’s executive director, estimated that Washington spent some $65 m in 2011 and $25 m in 2012. He said he expects a similar amount paid out year 2013. I guess that US Administration has also a different definition for corruption beside their definition for applying democracy through Political activists funding, that we are not aware of! Perhaps this US definition for corruption is nowadays when corruption and treason became a personal point of view and must be respected under world Human Rights new rules! The Us administration is only supporting corruption and terrorists, fine this is an old news, we realized this long time ago! These recordings, none of the International news agencies mentioned a word about it, but they do publish on their first page any fabricated video spread by their favorite terrorist Organization Brotherhood! 6 of April always claimed that they spend on the movement from their own pockets and they don’t accept nor take money or funding from anyone! Well, this businessman is surely not just anyone!!! The following video, shows Mohamed Adel a leader in the 6 of April Movement inside the national security building, stealing classified national security documents, beside hard disks. Alnasharty: Hello Ahmed, how are you, where are you man? Ahmed Maher: I’m fine and it’s going well, how are you? Alnasharty: Tell me what’s the news? Ahmed Maher: Life is good, we had a meeting before yesterday with the military council and they treated us nicely, but they did not agree at all on stuff we asked for, except for some stuff with no specific date. Ahmed Maher: We are doing our best in recruiting and we are making daily meetings with people in Cairo, and other cities. We formed many groups this last period in many cities and we are working with different stuff. Someone we know managed to get us some headquarters in some cities and placed our banners. We need a headquarter in each city. Ahmed Maher: We are also working on establishing a temporary association till we see this political party issue. We need other arrangements. We will start arranging our basics and papers, we are not going to start a political party, before we have strong basics. Alnasharty: The most important thing, are you available on the real ground? / Do you exists in the street? Ahmed Maher: Exactly, we have a good name and it is international now and we are known in many countries and we are very influential. We are developing our basics, when we are ready to turn to political party, we’ll just change banners. Alnasharty: I think you need to provide services to the people, you do people services then you can turn to political party. This is the best thing, it’s just that time is not in our favor. Ahmed Maher: Yes, time is not in our favor, we need huge efforts in order to achieve anything, we need headquarters in each city, we need machines, systems, furniture, we need to recruit and meet people and make programs. Train people that we will recruit and make them work. Because if these people are available and they won’t find work to do, they will leave us. Alnasharty: Tell me Ahmed, if you need financing and funding, my friends and I here can provide you with funds, tell me how much do you need for instance for your headquarters? Alnasharty: You need to concentrate on the poor cities, you need to be there, do you know what I mean? then you can work on other cities. Meaning, go in the cities specially the ones that Muslim Brotherhood have a weak presence. Ahmed Maher: In Sinai and Al-Arish, we have two big groups, we also have other people helping in the stuff you are aware of. Alnasharty: I have many friends in England, Egyptians living in England, they are ready and prepared to provide you with funding, I already spoke to them, just see what you want and need and how much, and let me know. Alnasharty: Call me and let me know what you need, so we can open….You know. Ahmed Maher: I will send you by email what we need for a start. Is it still the same email of yours. Alnasharty: Yes it is the same email. Alnasharty: Did you settle down in the apartment or not yet? 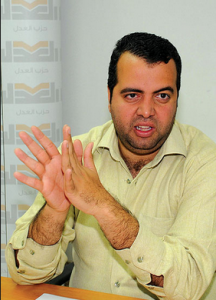 Ahmed Maher: Yes we did, we brought some chairs, prepared everything, cleaned it up and we paid the electricity bill. Alnasharty: I want you to always keep in touch with me regularly whenever you need anything. Second call recording between Egyptian political activist and Ahmed Maher founder of 6 of April Movement, they discussed donations, funds and providing information to foreign training centers in Kuwait and France and others. Recordings also exposed how 6 of April movement were competing with other activists in excluding them whenever there were donations or funding. 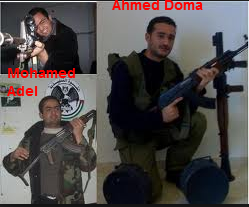 Wael Ghoneim, Mostafa Alnagar and Abd Elrahman Mansour, activists names also mentioned in the recordings. Activist: Hey Maher I want to discuss something very important with you. Activist: Pay good attention to what I’m going to say. Maher: I see…Is it Egyptian or foreign? Activist: The center is mainly in Kuwait, but they have a branch in Egypt. Activist: They will held a seminar in Kuwait on Thirty Seven Three, good? Maher: Thirty Seven Three, what? Maher: Ah yes, I was surprised by Thirty Seven Three. Activist: Listen, they called me and they asked me to provide Wael Ghoneim’s mobile number. They saw me today and they asked for Wael Ghoneim’s Mobile number. 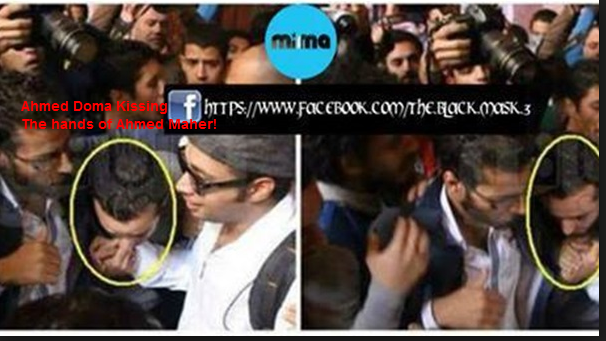 Activist: I told them Ok. about Wael Ghoneim, but we have Abd Elrahman Mansour he was also with Ghoneim. I told them that Abd Elrahman worked with Ghoneim on the Facebook page. They told me that they don’t mind that Ghoneim brings anyone with him, and they also welcome any name that will be recommended by Ghoneim. I know that Abd Elrahman has been recruited. Activist: I told them what this seminar is all about? They said it’s about the role of the social media in politics and…I told them if this is the case, there is another group called 6 of April and the coordinator is Ahmed Maher and they are the first group who used Facebook on 6/4/2008. In addition, 6 of April are the one who made the event and worked on it, i told them the whole story about how we were coordinating, you see, I’m pushing you into it Ahmed, I’m pushing you into it. Activist: So he told me ok, we also can talk to them and they can…Pay attention, this seminar, there is people, Kuwait…I don’t know what, and it will be a very good thing, do you understand? Activist: He told me there are Egyptians in Kuwait who will pay money, probably they will give donations and…God knows. I told him that i will give him your number and said ok. Pay attention I will give you his number and I want you to call him and tell him that you are with Wael Ghoneim, Why? Because he insisted on having Ghoneim’s number and he wants that Ghoneim recommend a name to him. then he said isn’t he a friend of Mustafa Alnagar? Do you understand? Activist: This is a very very big thing, and it will be held in Kuwait, two days. I don’t want Wael Ghoneim to go their and take Mustafa Alnagar with him, you are aware of this environment. Maher: Ok but does he want Wael personally, or those who are active on the net, or what does he want? Activist: He wants Wael Ghoneim because he is famous. This is going to be good for us, do you understand? Activist: Pay attention, he told me that there are Egyptians there, want to pay donations for I don’t know what…I told him No, Wael Ghoneim and Mustafa Alnagar and donations NO…You understand me Maher. I will give you his number. Maher: ok what is his mobile no. Activist: When I mentioned your name to him, he said that he recognized your name from before, and asked for your number. But listen I will give him your number and I’m going to trick him. I will tell him to call you, but I won’t give him Wael’s mobile number. I will tell him to call you and take Wael’s number from you, so we will give him the impression that you are a friend of Wael and you are not against him, do you understand? Activist: There is an issue of donations here, the two parties must be there, ok? Activist: Another thing, there is this center, the name is…I don’t remember the name…, yes it’s the National French institution, something like that… They also want someone form the coalition to go there by around second half of mid March. Activist: France. Seminar about 25th of Jan, what do you think. Maher: I don’t have any problem, but what is the mechanism of choice? you, you, I’m asking you to chose. Activist: I will recommend many names from the coalition to them. Maher: I don’t have any problem in traveling. Activist: The problem is, this seminar won’t be aired, it’s not a TV interview, not like in Egypt not even similar to Egypt. There, they squeeze whoever attends, you know the people who just went to Greece, they said that there are leftist Parties and AAA Parties, meaning all parties and they really squeezed them and put them under pressure, you know what I mean? Maher: No no, we don’t have any problem in any of this. 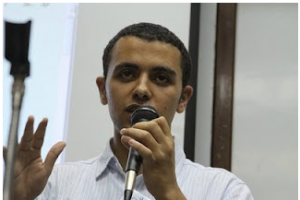 Activist: All details of the political life in Egypt. Listen, they know and understand the political life in Egypt more than Egyptians do. Maher: If you are talking about research center, of course they do. Activist: It’s going to be the same thing in France, also this center is related a little bit to the right wing party.You know what they are interested in, the relation of the Middle East with…America and France, Iran.. the role of…stuff like that, you know. 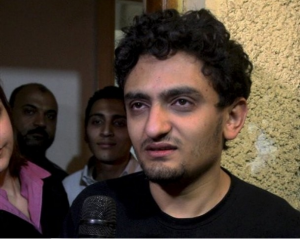 Activist: Do you have Wael Ghoneim’s number? Maher: Yes I have it. Activist: Call the guy, tell him that you will call Wael and arrange everything, remember he told me there are many Egyptians want and will pay donations, get everything arranged.